This movie wasn't bad to me, but it wasn't good either. It teetered along the lines of being bearable to watch, with some really cool moments. Those cool moments being when the actual fighting was going on, (which was often), so I'm not mad on that account. 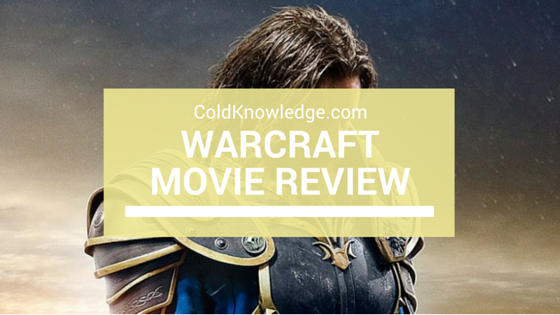 Granted I don't know the whole inner workings of the Warcraft series, but this movie was just too all over the place for me to really get into it. But on the same hand the graphics were pretty great and in combination with the all of the fighting, that wasn't too much of a bad thing. From a person that has never played the game I would say that this movie has a great opportunity to be a franchise if it learns how to better pace itself in terms of storytelling. I personally feel as though they tried to put way too much into the movie at one time, (and in such a short amount of time), that the average movie goer wouldn't care to try and retain all that was going on. I wouldn't blame them either; I can keep up with the best of them and this was definitely pushing it. At the end of the day this movie was a solid C+, the pacing of the storytelling is what really did it for me. I would say if you're a fan of the game or you like movies of this stature, wait to see it when its on demand or DVD in a couple of weeks. Otherwise you don't need to waste your time seeing this. It has promise to go somewhere and since China saved it by having a huge outing then it's safe to say it's going to get a sequel. Nothing terribly wrong with this movie, just needs to tell the story better.